The tray is constructed with 100% 304 stainless steel. Includes the Preserve it Naturally Book! A value of $24.95. This is the New 4th Edition, updated layout. Excalibur wrote and photographed this beautiful all-color book: This is THE book on dehydrating! Everything you wanted to know about dehydration and more can be found in this informative book. Chapters on fruits, vegetables, meats, fish, herbs, nuts, grains, dairy products, crafts, cake decorating, potpourri, sachets, macrame beads, dough art, wreaths, raw and living foods and much more. 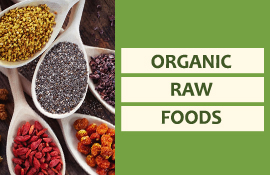 Recipes for raw foods, hot/cold appetizers, soups, salads, main/side dishes, sauces, beverages, desserts, snacks, trail mixes, breads, and more. Includes the Dehydration Guide! A value of $6.95. Handy 5 1/2" x 8 1/2" 28-page booklet is a complete guide to dehydrating. Packed with food preparation tips, reconstitution, complete 'how to' drying guide for 50 fruits and vegetables plus fruit rolls, jerky, yogurt, living foods, fruits & more. Illustrated. Soft cover. Case exterior is made of Stainless Steel. Case interior is polycarbonate, the same material as Excalibur's black and white units. 9-large trays, 15" x 15" each. 26 Hour Timer lets you set it and forget it. Unit automatically turns off when the set time is complete. Adjustable Thermostat 95F to 155F. Temperature range is low enough to preserve active enzymes in fruits and vegetables. Temperature range is also high enough to meet safety standards for dehydrating meat for jerky. Unit turns on automatically when thermostat is in use. "We love the Excalibur ®!" Compare our prices to the costs associated with purchasing the same Dehydrator from the U.S.A. (adding the exchange rate, customs and/or brokerage fees, duties & higher shipping charges) & you’ll find our prices very reasonable! The Best Price Everyday! Only Excalibur offers the Turbo Charge Parallexx® Drying System. Millions have re-discovered the benefits of food dehydration. Healthy, nutritious and tasty food at a huge savings. Excalibur makes drying easy. For centuries food has been dried in the sun or open air- a lengthy, messy and difficult process inviting contamination and spoilage. With the introduction of electric dehydrators the drying process was improved. But most manufactures offered round stackable models with a heating unit in the bottom. Excalibur pioneered a rear-mounted equipment package allowing horizontal or parallel air flow…The Parallexx System-- and Continues to be the worldwide leader in dehydration technology and innovation. Every Excalibur Model has a combined knowledge of over 35 years of dehydration research and development, making Excalibur Dehydrators the Best in the World. The Ultimate in Versatility- Removable door and trays – This is a MUST- in order to use every other tray or no trays at all, allowing you to dry large items, make yogurt, raise breads, dry crafts, bloom rice, dry sprouted breads, dry pie crust and more. You do not have trays that need to be taken apart to check drying or add more food. Almost unbreakable, FDA approved for Food Contact trays. Inserts make cleaning a snap. Easy to clean... Spills fall on seamless bottom. Adjustable thermostat allows perfect drying every time. Square design increases drying area "25%" with no holes in center of tray. Controlled environment for a wide variety of uses, i.e. making fruit roll-ups, trail mixes and drying flower arrangements, herbs, art and crafts, photos. With 35 years of manufacturing excellence, the Excalibur Food Dehydrator sets the industry standard for design, quality, and dependability. The Parallexx™ design, with a temperature controlled, fan forced, horizontal drying system mounted in the rear is the same features found in Excalibur's NSF Commercial Dehydrators ...in an affordable home unit. Excalibur the first name in food dehydration presents our Economy 2000 Series, featuring the exclusive turbo charged Parallexx™ Drying System. The 2000 Series offers the same versatility, and quality construction as our Top of the Line units—at an affordable price. Excalibur, the first name in food dehydration presents our Top of the Line Heavy Duty Series, featuring the exclusive turbo charged Parallexx™ Drying System. This Series offers the ultimate versatility, dependability and quality construction Excalibur is known for. They are designed to last over 20 years and built to the highest specifications with upgraded electrical components and innovative plastics. This series also comes with a standard 10 year limited warranty. Models 3526T & 3926T include an integrated 26 hour timer. Models D500S & D900S include an integrated 26 hour timer and stainless steel outer panels. Models D500SHD & D900SHD include an integrated 26 hour timer, stainless steel outer panels and stainless steel drying trays. Just received my Excalibur 9 Tray Stainless Steel Food Dehydrator today. Too early too make a review but I will come back sometime after I have tested some recipes. My only comment is that the placement of the drying guide table and the control knobs for the temperature settings and timer is not convenient for someone like me who is not tall. The dehydrator is now sitting on my kitchen counter below a kitchen cabinet. I hope that in the future Excalibur would find a way or design these knobs so that they are sitting at an angle or on a raised small platform at an angle facing the user. For now, my option is to copy the guide on an index card and stick it on the cabinet door above the dehydrator.